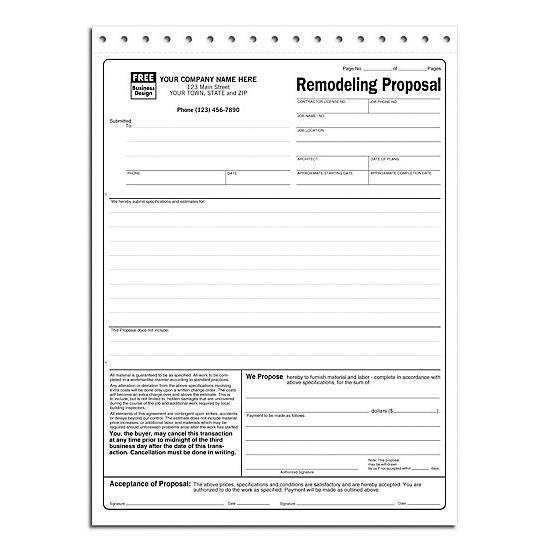 DesignsnPrint offers a wide range of contractor estimate forms, customized to fit your business needs. Customiation options include a personalized design unique to custom the way you want it. 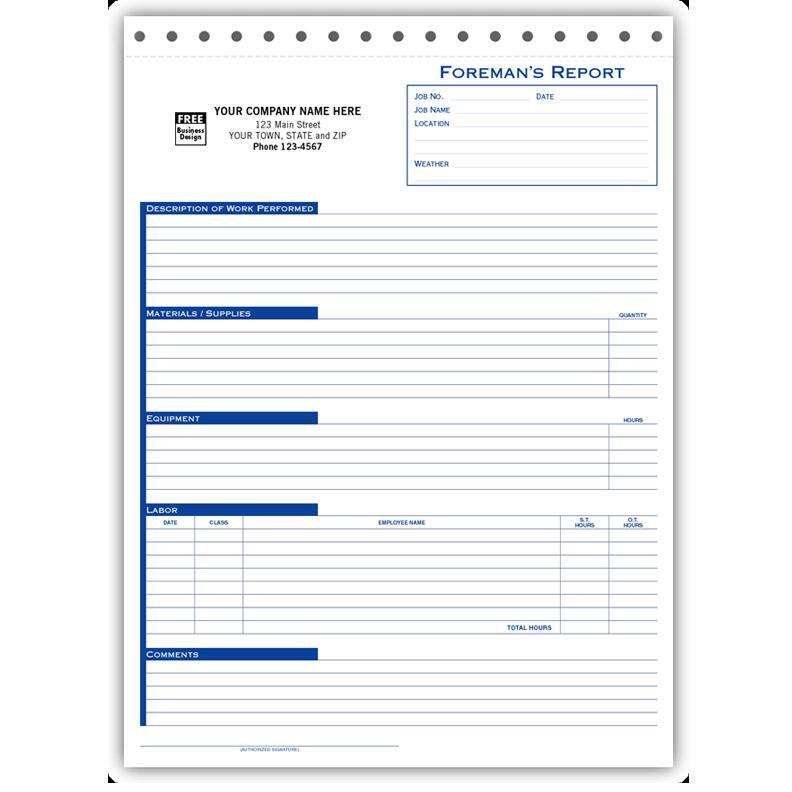 This include special wordings, additional or less number of lines, full color or PMS ink colors, numbered, perfing, glued in pads of 50 or 100, shrink wrap in sets of 50. Up to 4 color and process color avaialable, call for a price quote 1-800-492-1218. We can also cut irregular sizes to match your needs. 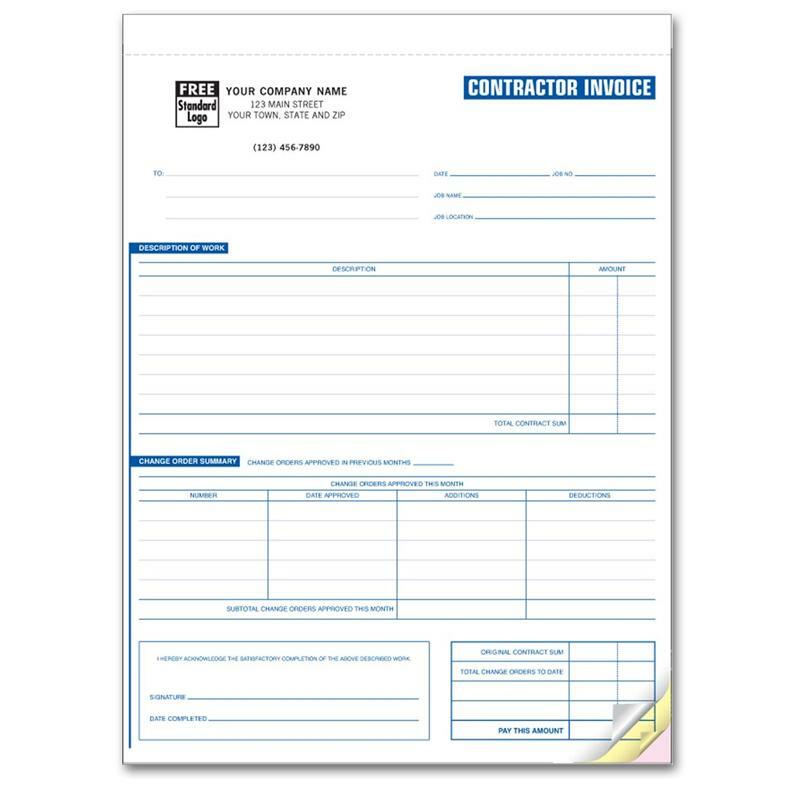 Each estimate form is designed for contractor and while we have specific forms for each type of service, this is a general form for jobs like roofing, flooring, cabinates, handyman, carpet, painting, electrical, general contractor, and others.